Restoration specialists of water, fire, and mold. If you need immediate assistance, our restoration specialists are standing by to help. We can have our specialists at your home or business within 45 minutes. With over 10 years of experience helping individuals like you with fire, wind, and water damage, 5 Star Restoration Specialists is the go-to team to count on. We are committed to helping you to get back up and running again no matter what type of natural disaster or accident occurred. Do you need a professional water damage restoration company? Did your home or business just suffer water damage? 5 Star Restoration Specialists Inc. is ready to assist. What happens after the emergency is over? After water and/or mold has been removed, we can restore your home or business back to the way it was. Please feel free to contact us anytime if you have any questions or concerns! When a natural disaster occurs, or a water line breaks, call 5 Star Restoration Specialists. As a team dedicated to providing you with exceptional service and fast, reliable workmanship, we are your go-to solution for any type of property damage you have. For over 10 years, 5 Star Restoration Specialists has provided commercial property owners and homeowners with the support and guidance they need at some of their most challenging times. When you have flooding, fire damage, or a storm has ripped the roof off of your building, you need to have a team you can call to provide you with fast help. We are the restoration specialist you need. Our team services Waukegan, Illinois as well as all of Lake County, Illinois and the surrounding area. We are dedicated to providing you with comprehensive support to get your property back in a safe condition in no time. Do You Need an Emergency Restoration Specialist? Time matters after an event like this. That is why 5 Star Restoration Specialists works hard to be there as quickly as possible for you. When you call us, we respond immediately, getting to you right away. We are confident in our ability to meet your needs. That is why we offer a 45-minute emergency response time guarantee. You can trust us to be there in the worst of times to provide you with reliable, supportive services. We provide a wide range of restoration services in and around the Lake County area. Our services are always customized to meet your needs. We can provide you with support in all areas including the following. Flooding basements? Trouble with a broken water pipe? Our water damage restoration services are designed to help you dry out your home or business in no time. We offer water removal services to extract any standing water. We dry out the space, remove all damaged materials, and provide proper cleaning methods to minimize the risk of mold buildup. Our team also can help you with rebuilding and repairs after such losses. If mold is present, we offer full mold remediation services to get your home back to a safe level again. 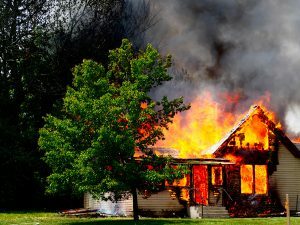 A fire can create significant damage in just a matter of minutes. That is why our team provides fast, reliable and complete cleanup after a fire occurs. This includes water damage removal, smoke and soot damage removal, and fire-damaged materials removed. We follow the same process of drying out the home, cleaning out all damaged materials, and minimizing the threat of mold buildup. In fires, smoke can be a key concern. This is why we also offer more comprehensive treatment options for your property. We help you restore your home or business to its pre-fire function in no time. As a trusted restoration specialist in our area, you can count on 5 Star Restoration Specialists to be there for all types of risks. There may not be any more severe than mold. Mold grows quickly on surfaces that have been wet or even just damp for a short amount of time. Because it can grow so fast, it is critical that we treat it properly. Otherwise, it can make you and your family ill. We offer full mold remediation using the most up to date and modern tools and resources. This is a critical step in caring for your property after any water damage occurs. Wind is not often seen as a threat, but it can lead to complex problems and significant loss. A wind event, whether or not linked with water damage, can leave your building with significant damage. Our team handles the cleanup. This includes removing all aspects of debris from the property. It could be your roof or the tree in the backyard. We then work to clean and restore the functionality and the safety of the property. We can help you with most types of structural concerns, too. Will Your Insurance Cover a Restoration Specialist? When any of these events occur, it can be a good idea to contact your insurance company. If you have property insurance – home insurance or business insurance – the policy may cover some damage from a storm, fire, or other event in which an accidental or unavoidable occurrence created the damage. Not all cases are covered by insurance. However, 5 Star Restoration Specialists works with you and your insurance company to handle any claims necessary. Our team is happy to provide a full assessment of the damage to your property. We can create a quote for your insurer to approve. And, we work alongside your insurance company to ensure the work is done properly and according to their standards. This helps ensure your coverage reduces any out of pocket expenses you have. If you do not have insurance coverage, that’s okay. 5 Star Restoration Specialists offers competitive prices. We work closely with you to provide you with just the services you need, minimizing any risk you will overpay for the care you need. When Should You Call 5 Star Restoration Specialists for Help? Any time you have damage to your property, don’t risk it. Have a restoration specialist step into your home or business to ensure it is safe. Our team is well trained to minimize any risks. And, we love helping consumers like you to restore their home to good working order. Here is what we recommend that you do right now. Make sure everyone on your property is safe and out of any dangerous structure. Don’t walk through standing water. And, leave the property as soon as you can. Call the police and fire department. They can turn off all electricity and gas to the property, limiting damage. Call 5 Star Restoration Specialists. Our restoration specialists have a 45-minute emergency response guarantee. We’ll be there fast to help you. For any type of restoration specialist in Waukegan, Illinois, Lake County, Illinois, or the surrounding counties, call 5 Star Restoration Specialists. Our team is happy to provide you with advice and guidance over the phone. And, we are sure to be there to provide our professional services to you in no time.